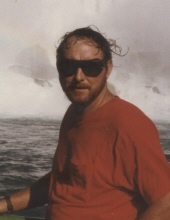 Thomas A. Crozier, age 74, passed away unexpectedly at his home on February 4, 2019. He leaves behind his devoted wife of 53 years, Mary Crozier, loving children Jeffrey (Bridget) Crozier and Jennifer (Mike) Walden. He was also the proud grandfather of Andrew, Forrest, Rachel, Seth, Savannah, Shay and the late Jordan, dear brother of Jim (Linda) Crozier, Jeannee (Milton) Saunders and will also be deeply missed by other loving family and many friends. Tom enjoyed spending time outdoors and family would often find him sitting by his pond soaking in nature or fishing. He worked at Ford Motor company until his retirement but also was the owner and trainer of several race horses. Services will be private at the convenience of the family. If desired, memorials may be directed to the charity of your choice in Tom’s memory. "Email Address" would like to share the life celebration of Thomas A. Crozier. Click on the "link" to go to share a favorite memory or leave a condolence message for the family.